When it comes to energy usage, facilities and their IT departments are often at odds. In most businesses today energy efficiency is the name of the game. Many facilities have undertaken major initiatives to reduce energy usage through a variety of means such as more energy efficient HVAC and lighting usage. IT departments tend to be the largest consumer of energy in any facility but because of the nature of the work that an IT department does, it is not always as simple to implement energy efficiency measures as it would be in another department within a facility. While you can control lighting and environment in a facility or data center, there is quite a bit more to be done if you want to truly reduce energy consumption in an IT department while still functioning at full capacity. For facilities and IT departments to better cooperate with a goal of improved energy consumption within an organization certain measure must be taken. An IT department or data center has to undertake the improvement of energy consumption while still performing their primary task – IT operations reliability and maximized uptime. The first way to achieve this is through the use of hot aisle/cold aisle rack arrangement. This configuration manages air flow and minimizes cooling costs through an ideal configuration of racks in an IT department or data center. An additional consideration for IT departments and data center is a modular or scalable UPS (uninterruptable power supply)system that can be scaled according to specific needs. With a modular UPS system you can easily and cost effectively increase your UPS power as needed over time which results in improved efficiency. There are also interesting and unique ways to make better use of outside air and thermal storage for an energy efficient form of cooling. 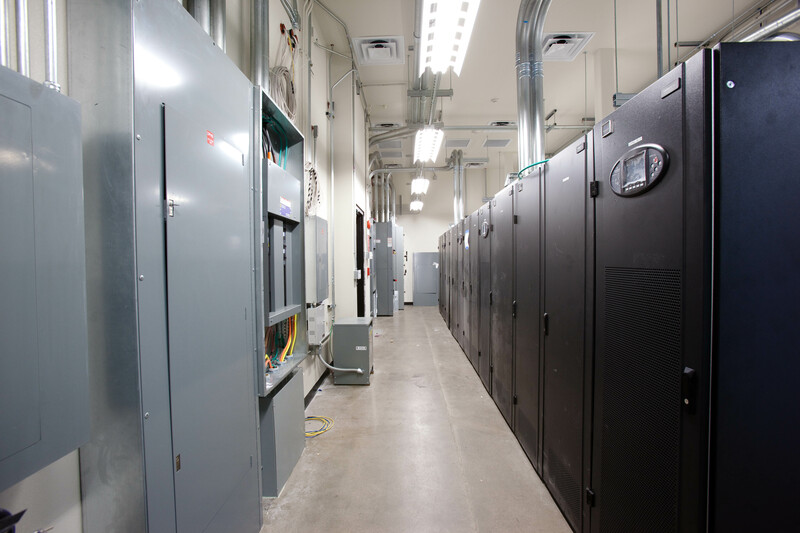 When IT departments and data centers implement these data center best practices it helps drastically reduce data center energy consumption. In addition to these measures, facilities can also upgrade outdated equipment that is not energy efficient for newer technologies that not only are capable of better data management but improved energy efficiency. The facility’s DCIM (data center infrastructure management) blends information technology with facilities management and can monitor and asses data center’s critical systems, energy usage and help make future improvements. All is not lost – IT departments and facilities do not have to be at odds. Through collaboration and implementation of best practices, IT departments and data centers can reduce energy usage while still performing their primary function effectively.